The US GDP data for the third quarter of 2016 is what investors, including us, have been waiting for, because it is much more relevant for future rate hikes than the job data, which the Fed claims to be caring about. The job data has already been very strong for a long time, and thus if the Fed’s preoccupation is indeed the labour market, it must have already raised rates this year, which is not the case. So the Fed, or at least Janet Yellen, is caring about the slowdown of the US GDP growth, and the new data showed that the slowdown is indeed ongoing, and rate hakes, if any, would put an end to the already weak growth. Although the US labour market has already been very tight for a long time, the Fed has been hesitating to raise interest rates. The Fed insists that its policy depends on the labour market, supposing that the strong job data leads to high inflation, but despite almost full employment in the US economy, there has been no rate hike since the first rate hike in December 2015. The reason is obvious: the Fed is not seeing the job data but seeing something else. It is not always easy to predict a collapse of a financial bubble, but there often is something that indicates it in advance. In the case of the subprime mortgage crisis in 2008, some famed fund managers such as George Soros or John Paulson knew it could be as serious as it eventually happened to be. This article explains the economic situations during the crisis and shows the statistics that preceded to imply the timing of the collapse of the stock markets. Since the first rate hike in Dec 2015, the Fed has been in the course of normalizing interest rates. Although we as well as many of the famed hedge fund managers expect the central bank will eventually cease raising rates and resume easing, it is still reasonable to assume one or two rate hikes in 2016 are still possible. Even if it happens, rate cuts will follow it anyway, but it is important for investors to consider how to trade on the temporary monetary tightening. As federal funds rates futures expect only one rate hike in 2016, two rate hikes will be a surprise if it happens. 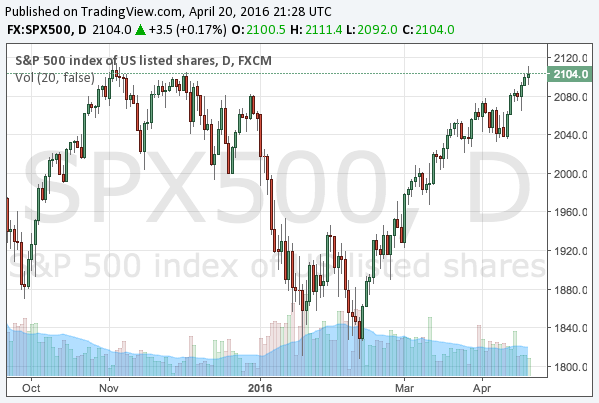 S&P 500 has recovered from the plunge in the beginning of 2016. Many famed hedge fund managers published their own view on the stock market, and who has been right so far? We would like to review the predictions by great investors such as George Soros, Ray Dalio and Bill Gross. In 2016, the Fed is trying to raise interest rates. The US economy is actually starting to decelerate, but the Core CPI (excluding food and enegies) is edging higher. If this uptrend is long-term, the Fed might be forced to rush for rate hikes undesirably. Will that happen? Is the US economy going into stagnation? In this article we argue the outlook of inflation in the US and its influence on rate hikes, the stock markets and the gold price. The dollar will fall, and the yen will strengthen in 2016. The Fed could not continue to raise rates, and the strong yen will be back again as the Bank of Japan’s monetary expansion is now limited. There might be a number of investors who still bet on the yen’s fall due to Abenomics, but we recommend to reconsider. We even recommend to buy the currencies under quantitative easing, such as the yen or the euro. Here are the reasons. The currency war, the market turmoil and the secular stagnation will make the gold price skyrocket to $2,000 in 2017 or 2018. The timing of our prediction was perfect. Investors finally realized three or four rate hikes in 2016 are practically impossible, and the secular stagnation will keep the US and global economy in need of financial easing. In addition to it, there are several facts for which we can be bullish about gold. 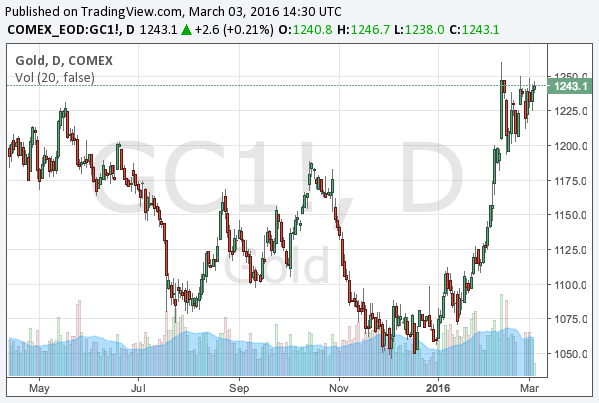 After writing about the US economy and the oil price forecast, this is finally about the main issue: gold. 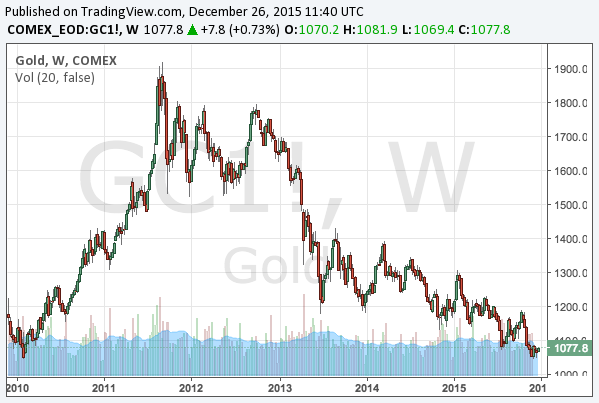 The gold will be a boom in 2017, but the question is when to buy gold in 2016. After the mortgage loan crisis in 2008, as the Fed started quantitative easing, the gold price once reached $1,900 in 2011. However, as the Fed stopped the QE in 2014 and started raising interest rates in 2015, the gold price has been radically falling. The US stock market still remains at around the all-time high after the Fed started raising rates, and that is because investors believe, rationally or not, that the strong US economy will keep equity appreciated even without the support of the Fed. However, the US economy will slowdown, and then the stock market will lose its last resort.